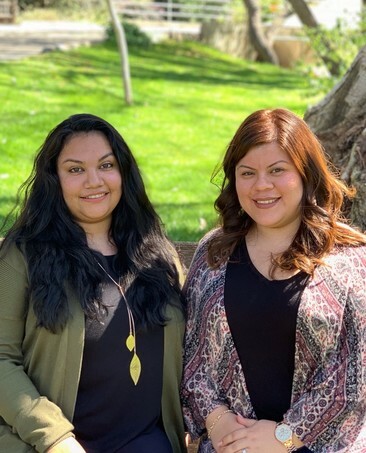 Fontana, Calif.- Soul sisters Jeanette Hernandez and Janette Castellon Solares are the dynamic duo of the City of Fontana Community Services Department focusing on cultural arts. Even while sharing the same name, both bring their unique passion and dedication to enriching the lives of Fontana's children through a variety of cultural arts programs. Jeanette Hernandez began working for the City of Fontana in 2013 as a Cultural Arts Community Services Assistant, helping out with programs and events such as LEAP, Artist Showcase and the Youth Community Theater Program. "My greatest accomplishment or as I like to call it my 'baby,' is the Youth Community Theater Program," shares Jeanette. "I have overseen this program from its original creation in 2014 with our first production being Alice in Wonderland Jr. Over the past five years, this program has serviced over 1,000 theater hopefuls, and has cast over 600 participants." Jeanette is now overseeing contract classes and cultural events, passing on her previous responsibilities to Janette Castellon Solares. Janette Castellon Solares started her career with the City of Fontana in 2014 as a Community Services Assistant overseeing the library bus. She then began to work at the Art Depot Gallery where she met Jeanette and kicked off their friendship. Janette was promoted to Senior Community Services Assistant overseeing the Mobile Recreation Unit, Noches con Ritmo, as well as rentals at Steelworkers’ Auditorium and Miller Park Amphitheater. When it comes to the array of programs Janette has been involved with, she is most proud of each program's growth, especially the Mobile Recreation unit. "I oversaw the development of the weekly site visits throughout town, as well as implicating the art education aspect. It was difficult for me to let go of this program." Janette is currently an Administrative Clerk at the Community Services Office. Jeanette and Janette have been inseparable since they first met in 2014. Aside from sharing a love to serve the community by providing cultural arts opportunities, they discovered they had many similarities. Both were born the same year, and share the same first name (with a slight spelling variation). Their mothers share a birth date and the same wedding anniversary. "We have developed a unique relationship and have become very close friends," shares Jeanette Hernandez. "In fact, Janette will be a bridesmaid at my upcoming wedding." Jeanette Hernandez and Janette Castellon Solares have been selected as the City of Fontana Employee Spotlight for April based on nominations from their peers who describe them as "the two parents in the office that ensure we are ready for the day and give us the tools needed to accomplish our tasks. You can't have one without the other; they are a package deal." Please help us in congratulating this dynamic duo working to provide outstanding cultural arts programming through the City of Fontana's Community Services Department. Visit www.FontanaArts.org for more information about upcoming arts events. We understand that our community uses several different means of receiving news and information. The City of Fontana Social Media team provides several ways of receiving news, tips, and information online. Please visit our website or follow us on Social Media for the latest City-related information.